“Only the methylcobalamin form of vitamin B12 is beneficial for the brain and central nervous system.” (Liat, 2010). Known as methyl-B12, this supplement shows promise in treating autistic symptoms. Interestingly, many children who appear to have sufficient levels also respond to methyl-B12 treatment (McCandless, 2005). This theoretically makes methyl B-12 particularly useful for treating a broad range of autistic symptoms, and anecdotal evidence suggests dramatic turnarounds for some children. Specific benefits that may be achieved, according to Doherty (2010), include increased awareness, cognition, responsiveness, eye contact, appropriateness, spontaneous talking, and complexity of language, as well as more normalized social interaction. According to Dr. Jaquelyn McCandless (2005), “Methyl-B12 [injected subcutaneously] is estimated to be active and effective to some degree in 80-90% of ASD children.” Dr. James Neubrander asserts that the injectable, subcutaneous form of methyl-B12 is far more effective than oral, transdermal, or nasal applications (quoted in McCandless, 2005). Researchers at UC Davis conducted study of 29 subjects, in which 9 showed significant improvements not only in behavioural assessments but also plasma measures of their antioxidant capacity (Hendren, 2010). While not as dramatic as the results claimed by many doctors, this response rate is still impressive. Autism Research Institute parent ratings for injected B12 as an autism treatment indicate improvements in 67% of cases, no change in 26%, and a worsening of symptoms in 7%. Oral B12 was not quite as effective but still generated improvements in the majority of cases, with benefits in 61% of cases, no change in 32%, and a worsening of symptoms in 7%. 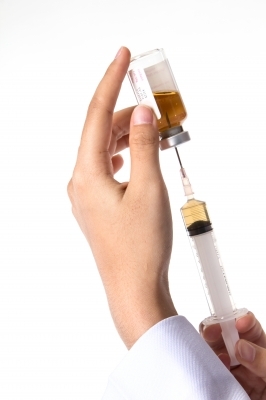 Of the parents using subcutaneous injected B12 to treat Asperger’s syndrome issues, 63% saw improvements, 25% indicated no change, and 13% said that their children grew worse. With oral B12 for Asperger’s, 63% saw improvements, 38% no change, and none saw a worsening of symptoms, though the number of cases was relatively small (numbers add up to 101% because percentages have been rounded up). Nasal B12 ranked lowest among the parent ratings, with 56% of those using it to treat autistic symptoms seeing improvements, 29% no change, and 15% a worsening of symptoms. It rated even lower among those using it for Asperger’s syndrome, with just 20% seeing improvements, 60% no change, and 20% a worsening of symptoms. Doherty (2010) notes that it takes 3-5 weeks to start seeing results if the child is a responder, but treatment must be continued to maintain these results. Some research has also associated low levels of vitamin B12 with anxiety and depression (Elder, 2006), conditions that often accompany autistic spectrum disorders, often triggering or worsening distressing symptoms such as tantrums, panic attacks, lack of energy, self-harm, repetitive movements, and other issues. Therefore, it’s possible that B-12 supplements may also help with these issues, though more research is required to confirm or refute this. Common side effects of effective methyl B-12 doses include increased hyperactivity (sometimes accompanied by increased stimming), altered sleep patterns, and increased mouthing of objects; occasionally, a child may also display more aggression (McCandless, 2005). Doherty (2010) asserts that side effects, if they occur, should only be temporary and will normally decrease as treatment progresses. If considering supplementation, consult a doctor to determine a safe and effective dosage before proceeding. For more on the effectiveness of various supplements for treating autistic spectrum disorders, see the main Autism Supplements page. For a full list of articles on autism and Asperger’s syndrome, visit the main Autistic Spectrum Disorders page. This article is not intended as a substitute for medical consultation or care. Health concerns should be referred to a doctor. Autism Canada Foundation. (2011). “Nutritional – Folic and Folinic Acid.” AutismCanada.org. Doherty, S., ND. (2010). “B12 and Methylation.” TreatAutism.ca. Hendren, R., DO, UCSF Department of Psychiatry. (2010). “Use of Methyl B12 for Autism.” Psych, UCSF.edu. Liat, A.P., MBBS, M.Med (Paediatric), MRCP (UK Paediatric), FAMS, MD. (2010). “Autism Vitamin B12 Deficiency.” Autism-Nutrition.com. McCandless, J., MD. (2005). “Clinical Use of Methyl-B12 in Autism.” Autism Research Institute, Legacy.Autism.com. Neubrander, J.A., MD. (2007). “Methyl-B12: Doing It Right! Methylcobalamin Update.” USAAA 2007 International Conference. How easy is it to have methyl-B12 injected by a primary physician?